Home/hair up do, long hair, wedding hair/Wedding hair – up or down? WEATHER: Ok, so you dream of an outside wedding on the edge of a mountain or on a tropical beach….you need to think about how your hair will behave. If it’s going to be windy I always advise for hair to go up…they’ll be nothing worse than hair whipping you and your intended ..and also curls will only stand up to so much…not the look you were going for!Tropical beach…think of how your hair behaves in the heat and if you’ll end up a sweaty mess…if you really do want it down, work out an updo with your stylist that you can let down after the ceremony. HAIR ACCESSORY/VEIL: Desperate for a flower crown? 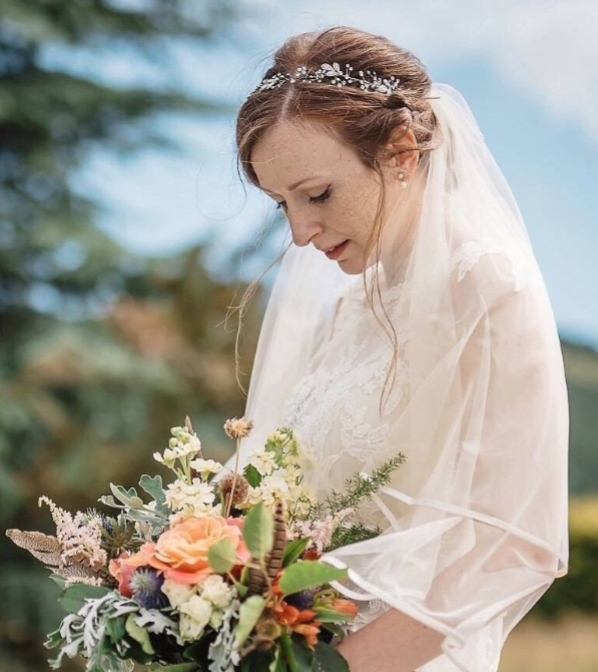 They usually look better with hair all down in a boho look…if you want your hair up get your florist to make a half flower crown on an alice band…this works fantastically! Your stylist can fit a veil whether you”re having your hair up or down. Get her to show your chief bridesmaid how to remove it for later on. 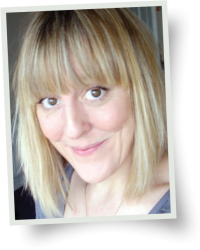 WHAT YOU’RE USED TO: You always wear your hair down and not sure if it suits you up or it makes you feel a bit bare or exposed. Talk to your stylist about this and they will be able to show you ways around this….lots of loose strands around your face works or a style over to one side. Hair always up but your dress suits hair down…then definitely try a half up half down look. PINTEREST: If you haven’t used it before it’s easy! You can build mood boards for your wedding hair and makeup…just pin things you like and watch your style emerge. 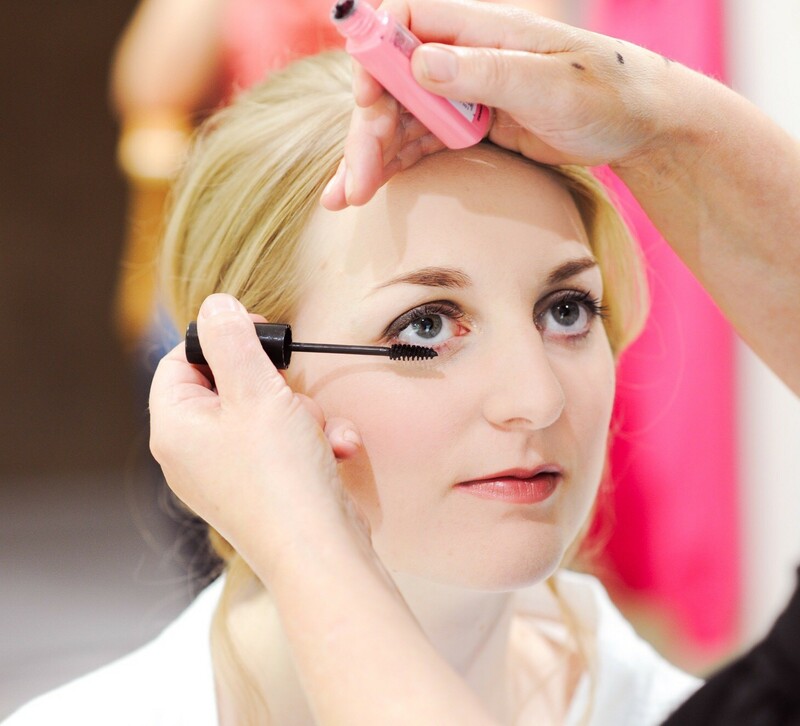 Show to your hair and make-up artist and they will come up with a bespoke look just for you!